We have a wide range of different kayaking trips available. Please contact us for more information! The Hong Kong UNESCO Global Geopark is a world-renowned area of geologic significance, comprising of eight geo-areas along the eastern side of Hong Kong. Come paddle the High Island geo-area and get a chance to see the hexagonal columns of volcanic tuff present throughout the area that were formed 140 million years ago. 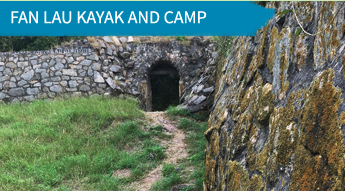 Sea caves abound and if the sea conditions are right, you may be able to paddle inside and look for rocky shores wildlife. According to feng shui, Fan Lau, a peninsula at the southwestern tip of Lantau, is most auspicious because it is at the confluence of two sea currents, the waters of the Pearl River Delta and South China Sea. Its attractiveness to local settlers who considered it a lucky spot goes some way towards explaining its long history of human settlement despite its remoteness. 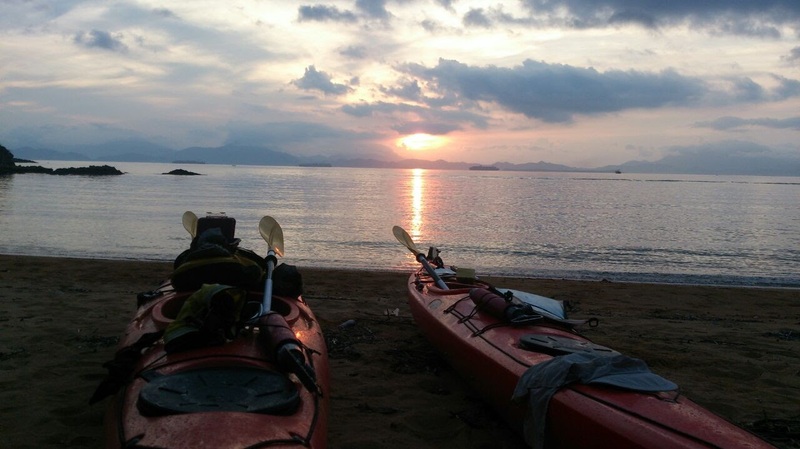 We’ll paddle along the stunning coastline of Lantau and set up camp on the beach at Fan Lau. 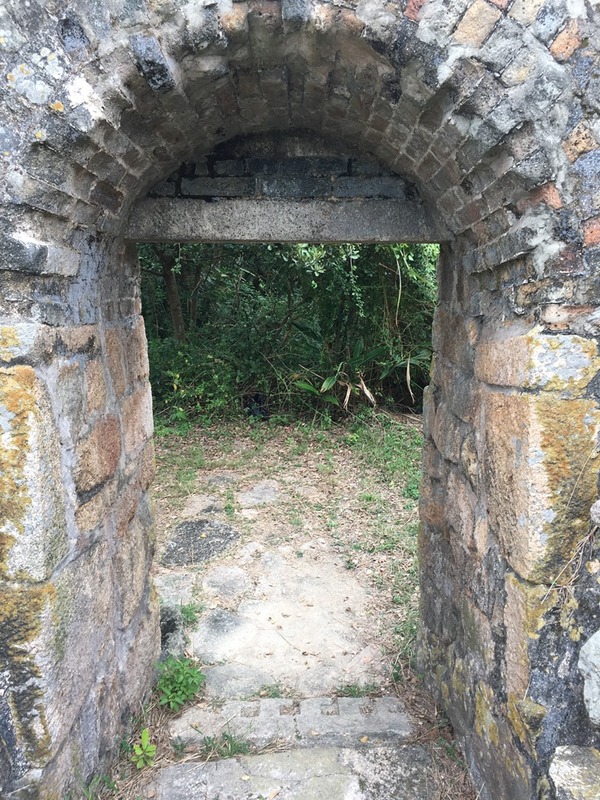 Spend a day on foot exploring an ancient stone circle a few thousand years old, the crumbling remains of a Qing Dynasty fort, a mostly abandoned village and a Tin Hau temple. On the way back to the base, stop for a refreshing dip in the pool at the base of the Shui Lo Cho canyon – a great spot for a rest and a picnic lunch, and a great way to end an amazing trip. Double Haven is every kayaker’s dream: calm and sheltered, crystal clear waters, countless little beaches to pull up on and explore, stunning views in every direction. Learn about local history in the abandoned Hakka village of Lai Chi Wo, try the fresh-caught seafood in Kat O village that is still home to a few hundred people today, snorkel and paddle in the beautiful Yan Chau Tong Marine Park… Although it can be done in two days, there is so much to see and do that we recommend three days for this tour. During the day, we’ll spend about 4 to 5 hours on the water and cover roughly 8 to 10 km with frequent breaks. 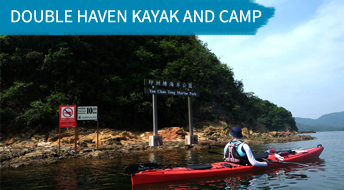 Kayaking in Double Haven is truly incredible – a relaxing, culturally enriching and memorable experience. Cheung Chau, a beautiful island steeped in pirate history, is a short ferry ride away from central Hong Kong, so easily accessible to all who want to do something different with their evening. 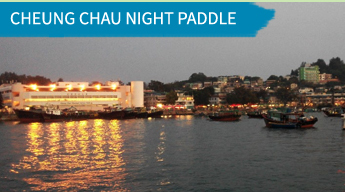 Come see Cheung Chau and the surrounding waters in a different light! 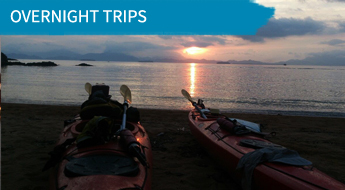 Paddle under the night sky and watch the distant lights of Hong Kong island and passing ships twinkle as you slip quietly around the coast. Sometimes when we are lucky we see bioluminescence which highlights our paddles as they pass through the water, making them glow with unearthly light. 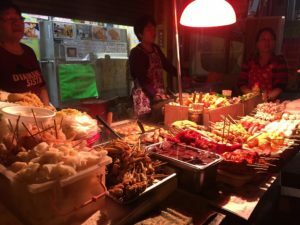 Afterwards, stroll into the village to see the night market emerge, with a variety of cooked food and cold drinks available. If you have a couple of days to spare and would like to spend more time on the water, check out our overnight trips. Our tours are flexible and can be adjusted to suit your preference, whether it’s one night or five. You don’t have to be an expert kayaker to come on an overnight trip with us. Our guides will show you how to paddle more efficiently and we always adjust the pace of the trip to suit the group. Get in touch with us if you would like to find out more. 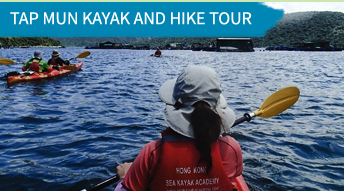 We’ll take a speedboat or ferry from Wong Shek Pier to our base at Tan Ka Wan, where the tour starts. 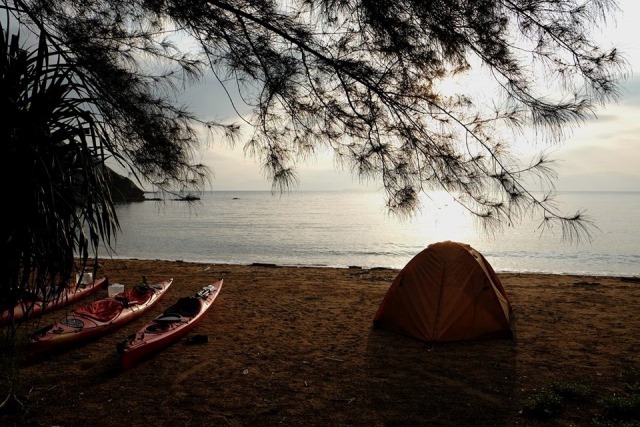 From the beach, we paddle north along the coast towards Ko Lau Wan Pier and then up along the eastern side of Tap Mun. Along the way, enjoy the views of the rocky coastline and keep a look out for the famous Balanced Rock that gave the island its name. Coming around the northern tip of the island, we meander south through a fish farm floating off the west side of Tap Mun. We’ll tie up the boats close to the Tap Mun Ferry Pier and head to one of the local restaurants for lunch and a refreshing cold milk tea. After lunch, we’ll take a leisurely hike along the paved 2km path that takes us past sights such as the 400-year-old Tin Hau Temple and abandoned King Lam School. The path ends on a hilltop in the middle of the island, where we’ll enjoy the panoramic views and refreshing breezes, before heading back to the boats and paddling the short distance back to our base at Tan Ka Wan. To get to our base at Tan Ka Wan, a small village in the Sai Kung Country Park, we take the speedboat or ferry from Wong Shek Pier. From the beach at our base, the trip heads north along the well-known island of Tap Mun, a small island supported by fishing and tourism. We’ll paddle through a fish farm floating off the west side of Tap Mun where you can learn more about modern methods of fishing. Cutting across the channel, we’ll head around the Wan Tsai peninsula to enter the Hoi Ha Marine Park. 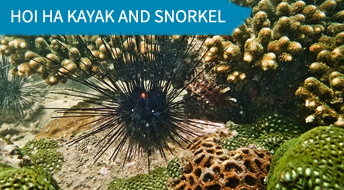 Located within the park boundary are two designated snorkeling areas. With kayaks, it is possible to access either one. 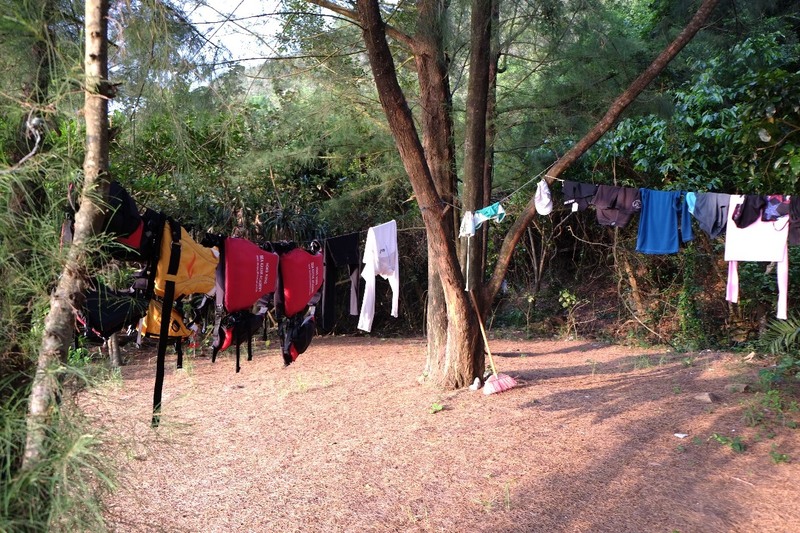 A picnic lunch revives the energy levels for the paddle back to our base at Tan Ka Wan. If time permits, a short stop off at the small village on Tap Mun gives a flavour of the remote fishing villages of Hong Kong. 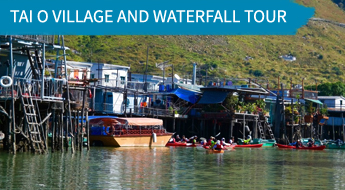 This tour starts from the Nam Chung village area and, depending on the tides, proceeds into Tai O village for a closer look at the famous “pang uk” or stilt houses that characterise Tai O living. At the end of the waterway through the village lies the Hau Wong Temple, built in 1699, a centerpiece of Tai O religious life. From the village, the tour continues into the habitat of the pink dolphins, where we may catch a glimpse of these increasingly rare creatures. 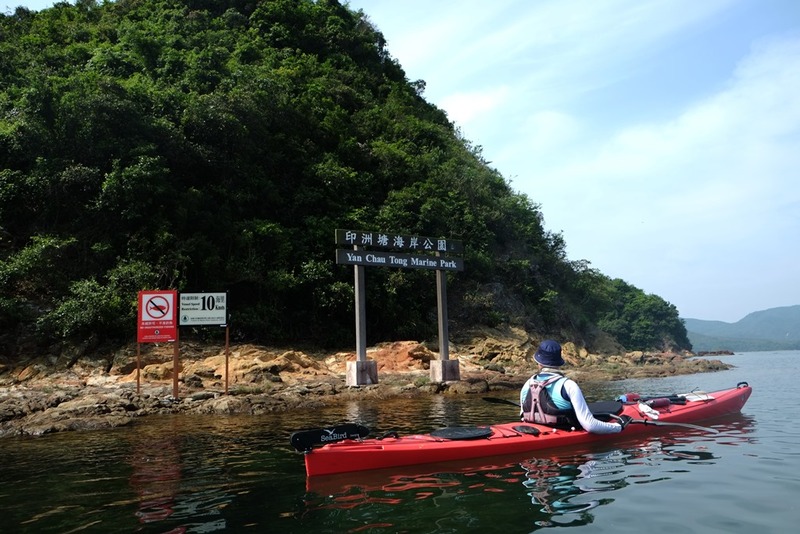 A bit more paddling takes us into Yi O Bay where well land for a well-deserved rest. A short walk ends in a cool, refreshing pool at the base of the Shui Lo Cho canyon – a great spot for a rest, a swim and a picnic lunch. Refreshed from the break and lunch, the tour returns back along the coastline to our base at Nam Chung village. As there are regular buses to both Tung Chung and Mui Wo, we recommend that you take some time to walk through the village that you’ve just seen from the water. Smell the dried fish, see the temples and walk the streets that have existed for hundreds of years!